This publicity photo provided by Vogue shows singer Katy Perry on the July 2013 cover of Vogue magazine, photographed by Annie Leibovitz. Katy Perry is gracing her very first cover of Vogue this month and she's completely let down her guard. The cover girl dropped the bombshell of how she learned of her divorce with Russell Brand and how she's processed the emotional ordeal since. The "Wide Awake" singer has also kept relatively mum about her on-and-off relationship with John Mayer, until now. Michelle Chamuel talks about performing with Usher on "The Voice" and the detailed process of rehearsing for her mirror trick. Perry revealed she hasn't seen or spoken to her ex-husband since the divorce, saying, "He's a very smart man, a magical man and I was in love with him when I married him. Let's just say I haven't heard from him since he texted me saying he was divorcing me December 31, 2011." She also hinted at possible reasons behind the split, "I have to claim my own responsibility in things. I do admit that I was on the road." "I think a lot of times strong men do want an equal, but when they get that equal they're like, 'I can't handle it.'" 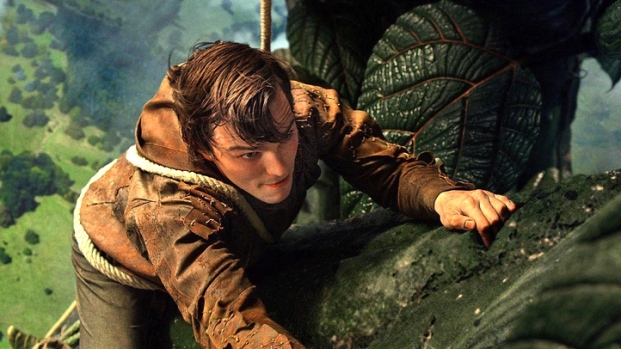 NBC's Raphael Seth takes a look at this week's digital and DVD releases including "Jack the Giant Slayer" and "21 and Over." Since her marriage ended to Brand, she's been spotted out with crooner Mayer. The two, who were split at the time of the interview, have been hot and cold since they began dating in August 2012. "It's over, I was madly in love with him. I still am madly in love with him," she told the mag. "Beautiful mind, tortured soul. I do have to figure out why I am attracted to these broken birds." The good news for Perry is that she and Mayer are definitely back on as of earlier this month. PHOTOS: Take a peek at Katy Perry's 10 most colorful red carpet beauty moments!